It could be ‘London bus syndrome’ or a sudden flowering of interest in France’s favourite playwright, but there is beaucoup de Moliere on Theatreland’s stages at the moment. There are no fewer than three productions either written by Jean-Baptiste Poquelin or inspired by him. While The Miser at the Garrick Theatre and Don Juan in Soho at Wyndham’s Theatre have turned Charing Cross Road into the Rue Moliere, the Trafalgar Studios – rather a tactless address in the circumstances – is hosting a new production of The Philanthropist, Christopher Hampton’s elegant riposte to Moliere’s The Misanthrope. Whereas Alceste, Moliere’s anti-hero, believes in speaking his mind and thereby exposing society’s hypocrisies and deceits, Philip, the leading character in The Philanthropist, prefers to tell people what they wish to hear only to alienate those whom he wishes to please. “You’ll always get into more trouble by being nice and not by being nasty,” observes Hampton. Moliere believed that the function of comedy was to improve mankind morally and, unsurprisingly, his satirical barbs soon earned him a multitude of enemies – religious hypocrites, quack doctors, social climbers who eventually took their revenge, hastening his death in 1673. It is Moliere at bay, enduring the last hours of his life, that is the subject of Simon Bradbury’s play The Last Act of Love of JB Moliere, which recently won the Liverpool Hope Playwriting Prize and is due to go into production in the city. 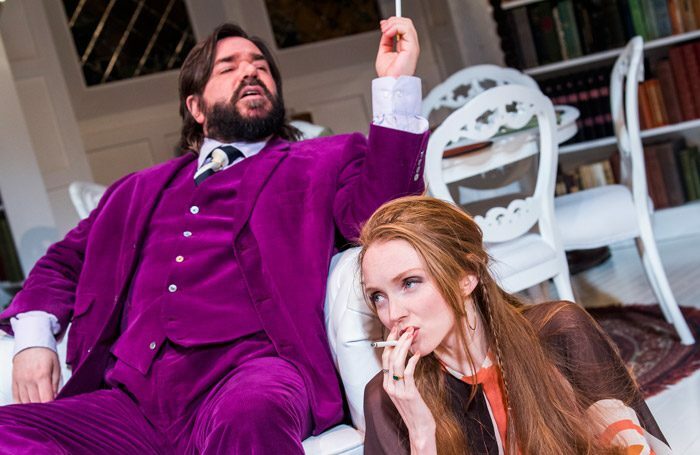 Moliere has made periodic appearances on the London stage, although Hampton recalls his amazement when told that his version of Tartuffe, presented by the Royal Shakespeare Company in the 1980s, was the first play by Moliere to be performed by the company. There have been a number of Tartuffes in London in recent years, with John Sessions (Playhouse Theatre) Antony Sher (RSC), Tom Hollander (Almeida Theatre) and Martin Clunes (National Theatre) playing the confidence trickster who uses his patron’s piety as a means of self-advancement. 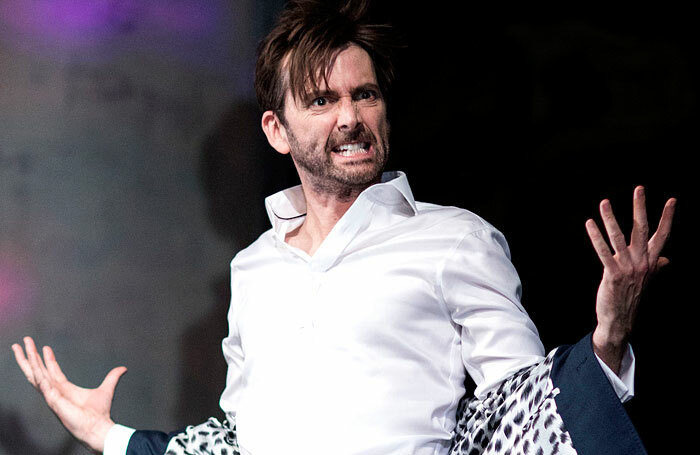 The Misanthrope has also achieved a certain prominence, with Ken Stott and Elizabeth McGovern at the Young Vic and Damian Lewis and Keira Knightley in a West End production, and it lends itself well to a contemporary setting. More recently, Liverpool poet Roger McGough added a touch of Scouse to the Gallic by producing versions of The Hypochondriac, Tartuffe and The Misanthrope for the Liverpool Everyman and English Touring Theatre. In Scotland, there is a tradition of serving up Moliere in Scots and poet/playwright Liz Lochhead has had a particularly fruitful relationship with Moliere. 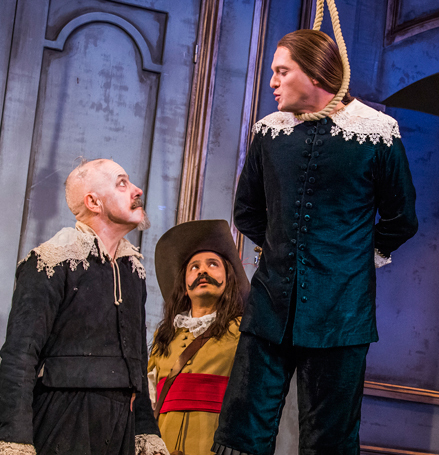 Like the trouper he was, Moliere died in harness, playing the lead in The Hypochondriac, an irony that the playwright was bound to have enjoyed. Why did writer Bradbury wish to focus on this part of Moliere’s ebbing life for The Last Act of Love of JB Moliere? There would appear to be a tension in Moliere between the physical comedy he perfected during his long years touring the provinces under the influence of the commedia dell’arte and his chosen role as the moral scourge of society. It would be a mistake to exaggerate the interconnectedness of The Misanthrope and The Philanthropist. Both plays can be experienced separately by audiences oblivious to the relationship between them. At the time he was writing The Philanthropist, Hampton was employed at London’s Royal Court as resident dramatist. He remembers the play’s awkward birth. At first sight it had the appearance of the civilised, well-made West End play that Hampton’s more militant colleagues had tried to drive into obsolescence. From its opening in August 1970, The Philanthropist transferred to the May Fair Theatre, London, where it eventually clocked up a total of 1,100 performances. The youthful company, headed by former Inbetweener Simon Bird, is presumably intended to reach an equally youthful public. And there appears to have been a similar calculation among The Miser’s producers to cast either comedy actors or stand-ups steeped in comedy. Foley and his co-writer Phil Porter have produced a version of the play that has been “freely adapted”. What does this mean? What has Foley learned from his exploration of the work of Moliere?